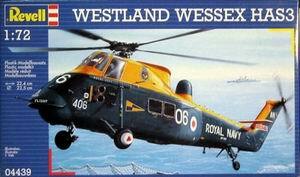 The FAA operated various versions of this helicopter and it would be nice to have a ship based Wessex in the model collection. Matchbox / Revell issued a 1/72 kit of the HU.5 in 1991. 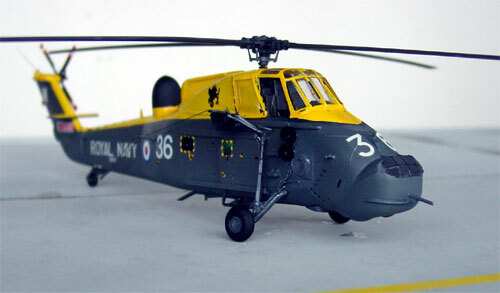 The kit has about 70 parts and has decals for a yellow Royal Navy HAR 2 of 22 squadron and grey/orange 771 squadron HU5 Wessex. In some books another interesting version was seen, the HAS.3 anti submarine variant in yellow and dark sea grey with a particular search radar fairing on the spine. In old old book about HMS Eagle a nice profile was seen that was a source of inspiration. As Modeldecal set #99 has quite a number of squadron markings, including the one of the Eagle, No. 826 Squadron around 1970 ... what stopped me? After I finished this project, I found out that Revell issued a kit of the HAS 3 some time ago !! 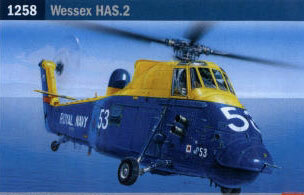 Also, Italeri announced that it would release this HAS 2/ 3 Wessex version as a 1/72 kit in April 2006... 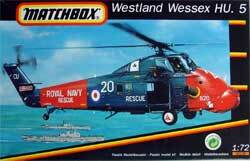 I would suggest that if you want this specific version, search for the Revell kit or wait for the (re-issue?) Italeri kit. 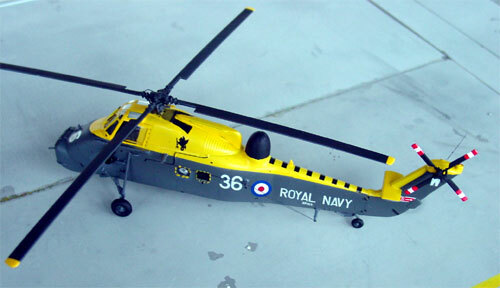 Note however that the Italeri tailrotor is same as their S-58, but for the Wessex it should rotate the opposite direction. 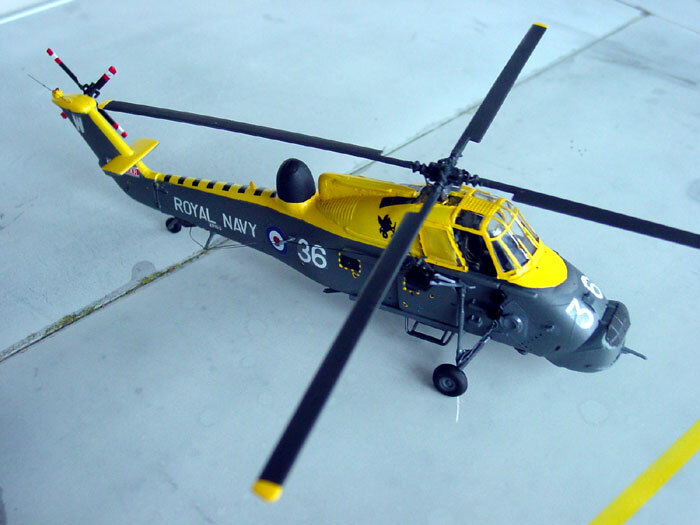 So cut of the tail rotor blades and set backwards to the tail-rotorhub. Yeah.... lets continue with the bought kit of the HU.5 Matchbox kit. 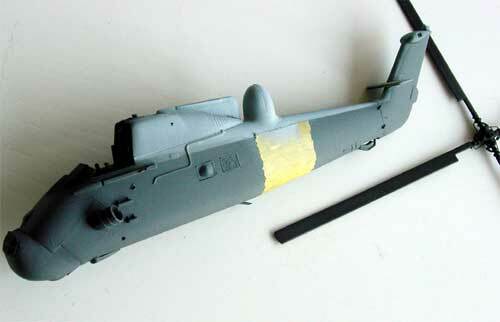 From the spares box an old torpedo head was found suitable for the radar and some pieces of card for the fairing. The engine intake on the nose was opened up and a small metal screen was added from MetalMesh. Also, aft of the roto mast, an opening was made and grilles were added from this mesh. 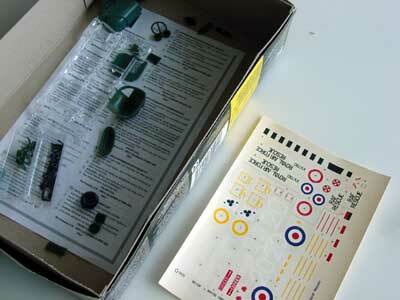 Otherwise, the kit was made as supplied in the kit. Construction was straightforward. Cabin was not detailed as the doors would be set closed. Cockpit was detailed wth some stretch sprue and seats were given seat straps from tape. Instrument panel was made of some spare decal. 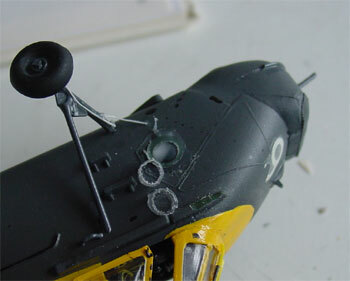 Some antenna wires were added from stretched sprue, some details in the cockpit and some antennas on the airframe as seen in pictures. Some brake lines were also added to the gear legs. On the belly of the fuselage, some details of winches, piping were added although no clear references could be found on the exact shape. I found that the Matchbox/Revell decals "broke up"!! Looking at the sheet, it was stated that Revell printed them. So beware! I suggest to apply a coat of MicroScale Liquid decalfilm first. So I ended up using some decals from the spare decal box with the Modeldecal set. The large engine exhaust pipes on each fuselage side were installed, but this was an error. Later on, they were cut off as seen here, the holes filled and two small pipes added in stead. These exhausts are for the 1600 shp Napier Gazelle engine. 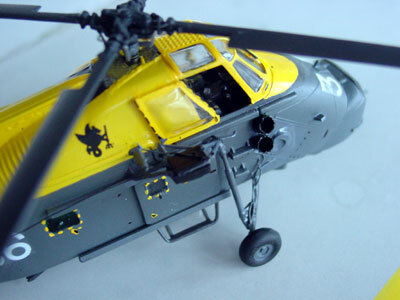 The end result is quite pleasing and colourfull and a nice addition to the FAA 1/72 scale model collection.